Rhys Dutcyvich of the North Island Eagles atoms (11) slices between a pair of Sooke defenders in the teams' meeting earlier this season at Chilton Regional Arena. The teams met again in the finals of last week's Victoria atom development tournament. North Island Eagles atom development hockey team finish strong to claim third in a spring hockey tournament in Victoria last weekend. Mar. 28, 2013 1:00 p.m.
After a slow start, the North Island Eagles atom development hockey team finished strong before placing third in their division in a spring hockey tournament in Victoria last weekend. After opening the tourney with losses of 7-3 to Cloverdale and 6-3 to Sooke, the atoms rebounded nicely with an 8-4 win over Saanich to wrap the day. In a semifinal rematch Sunday morning, the Eagles rolled past Cloverdale 5-2 as Rhys Dutcyvich and Mathew Saunders each notched two goals and two assists. That win lifted the atoms into another rematch against Sooke in a back-and-forth final. Trailing 5-4 with less than five minutes remaining, the Eagles knotted the score when Ryan Patterson converted off a Payton Laming assist. But Sooke took the ensuing faceoff and came down the ice to score the clinching goal in a 6-5 victory before time ran out. 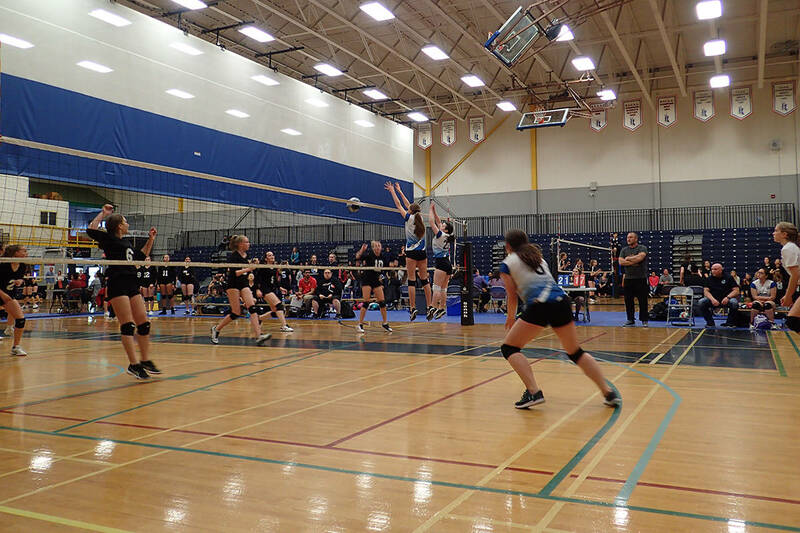 In Sunday’s final, Sooke jumped out to a 3-0 lead. But the Eagles rallied with four straight goals by Patterson, Luke Gage, Keenan Saunders and Peyton Dugas to jump in front 4-3. Sooke then scored two quick goals to regain the lead at 5-4 and set up the finish. The atoms got the tying score after going on a power play and pulling goalie Kayden Jones to get an extra attacker. In the opening loss to Cloverdale, Luke Gage had two goals and Mathew Saunders added a goal and an assist. In the first Sooke game, Dutcyvich led the Eagles with a goal and an assist. Mathew Saunders and Patterson added goals and Laming contributed an assist. Laming had four more assists and a goal in the romp over Saanich. Patterson added two goals and two assists, and Gage, Keenan Saunders and Mathew Saunders added scores. Tynan Klein-Beekman had two assists and Koen Harwood and Gage chipped in helpers. In the win over Cloverdale Sunday, Laming had a goal and Patterson and Keenan Saunders added assists. It was the final action of the season for the atoms, who had just 12 players evenly mixed between first- and second-year skaters.